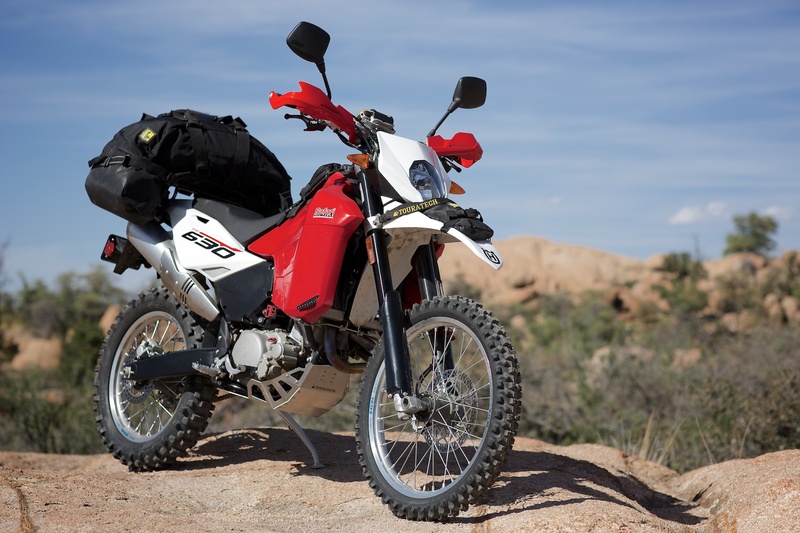 While the big adventure bikes certainly garner attention, it is the mid-weight machines that most effectively support expedition travel. 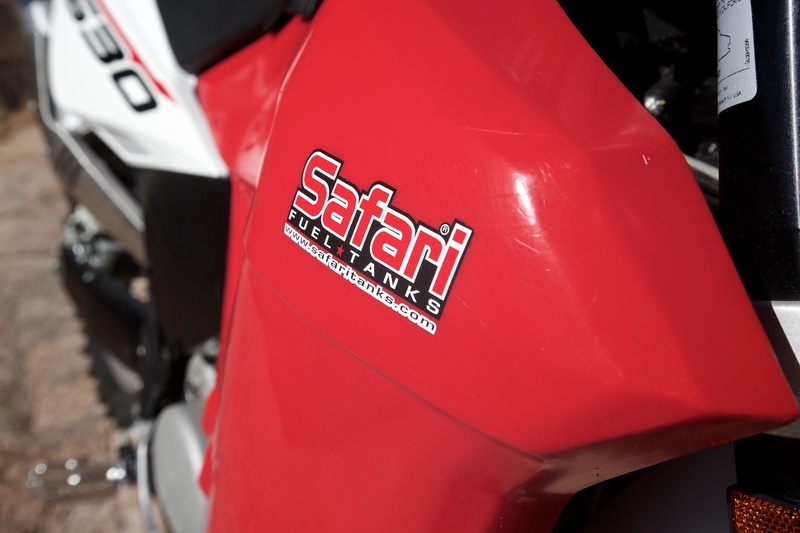 Certainly, if the majority of the trip includes paved roads, then opt for comfort and cruise control. 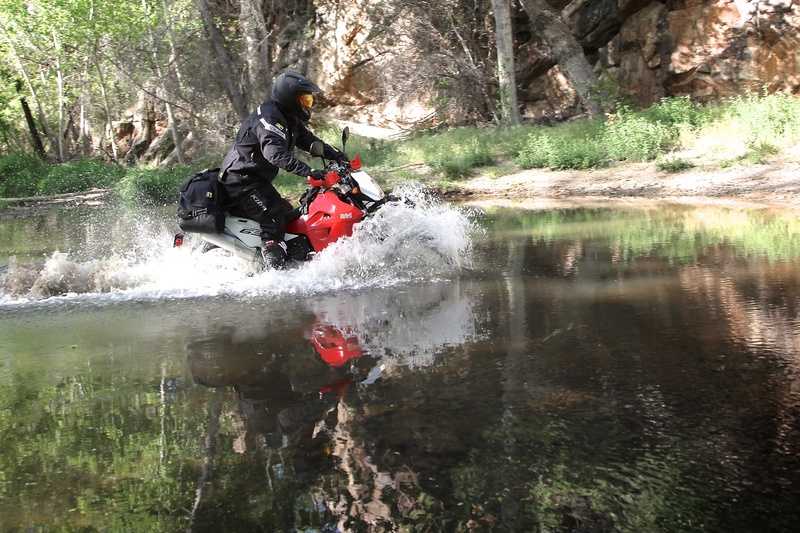 However, if you plan to cross the BAM road, the Canning Stock Route or the Trans-America Trail, then the 600-class adventure bikes are just what the explorer ordered. 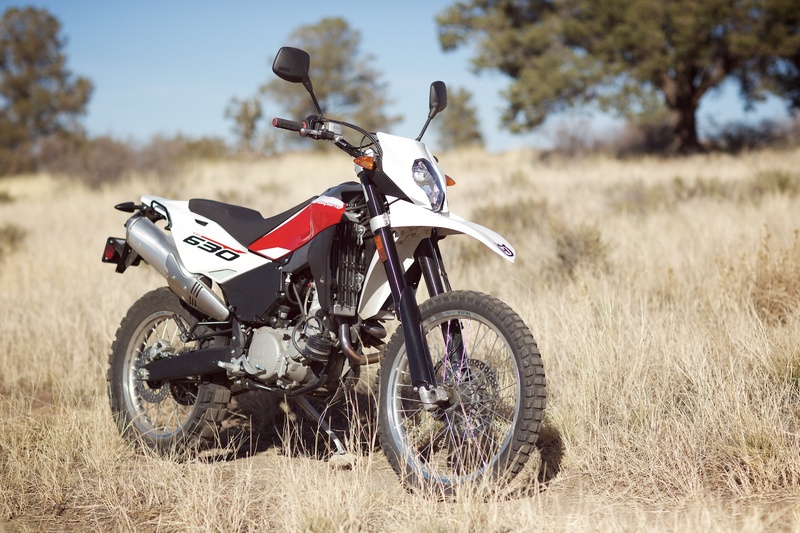 In our effort to evaluate the viability of these mid-weight bikes, we have built a Honda XL650, Suzuki DR650, and now the KLR650 and Husky TE630. 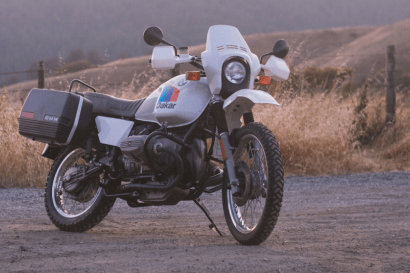 They absolutely have their place in the ADV hierarchy, and with a few thoughtful modifications will take you on the most difficult overland routes around the world. 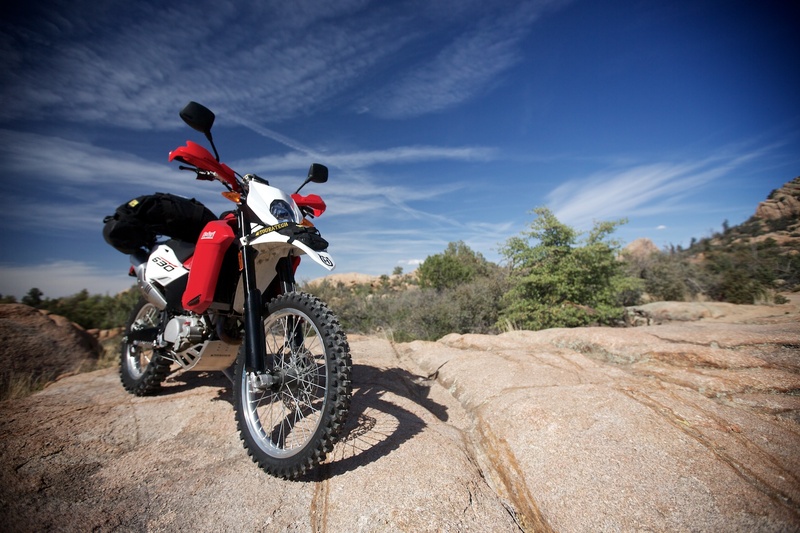 No different from a 4WD, dirt performance improves significantly with good tires. 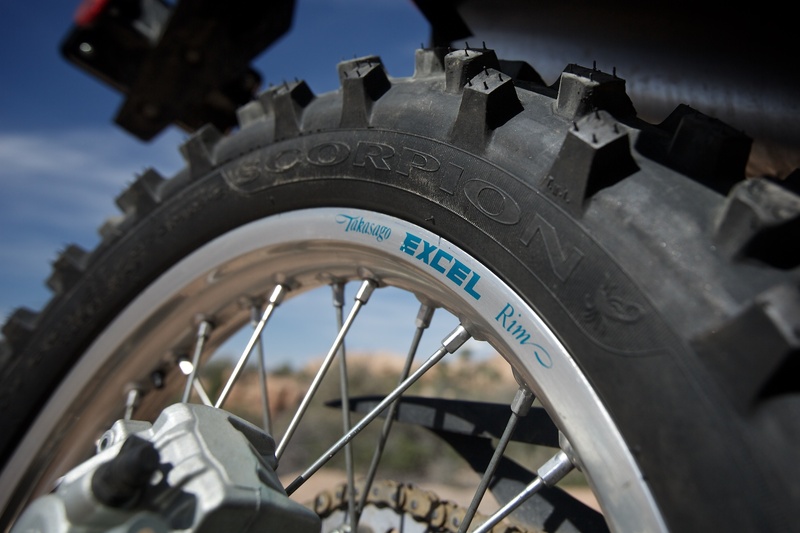 We installed some of the most aggressive DOT legal tires available, the Pirelli Scorpion Pro, which is a 20/80 tire and extremely effective in all but hard pack dirt. We installed the 90/90-21 front and the 140/80-18 rear. 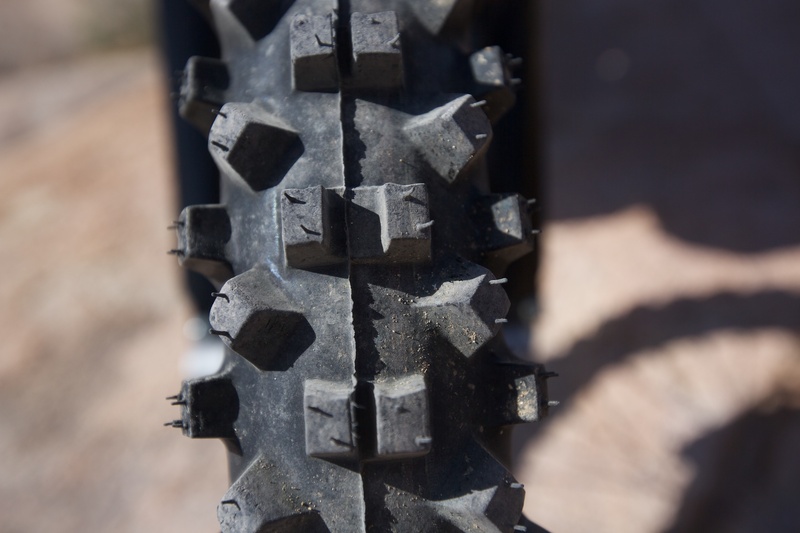 Continuing up the frame, we specified aggressive and wider foot pegs. 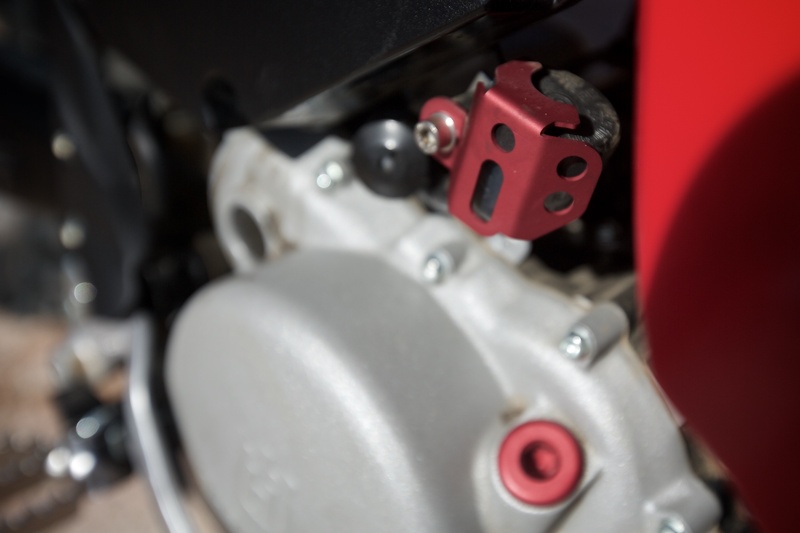 The ergonomics of the TE630 are not well suited to taller riders, so these pegs also drop by 10mm and move back by 10mm. 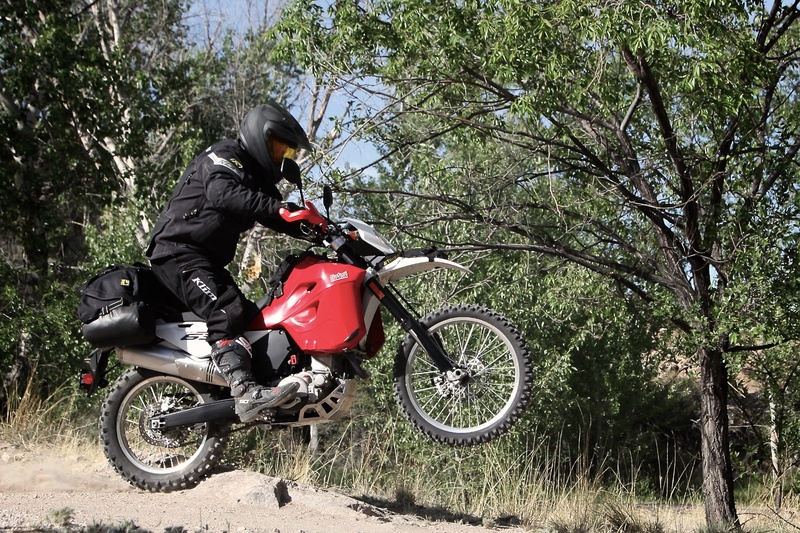 They are designed for the smaller Huskys, but mount to the 630 just fine, and are available from Cyco Active. 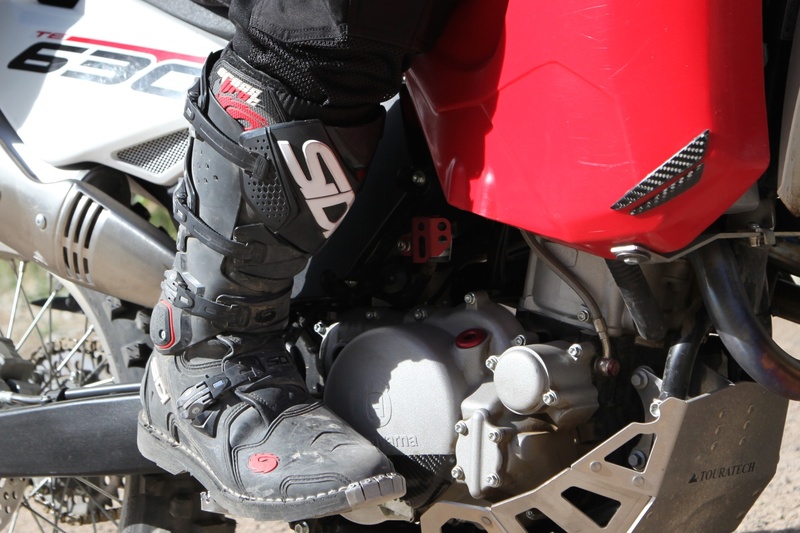 Also visible is the Touratech carbon fiber clutch cover protector, which does a good job deflecting rocks and boot scuffs. 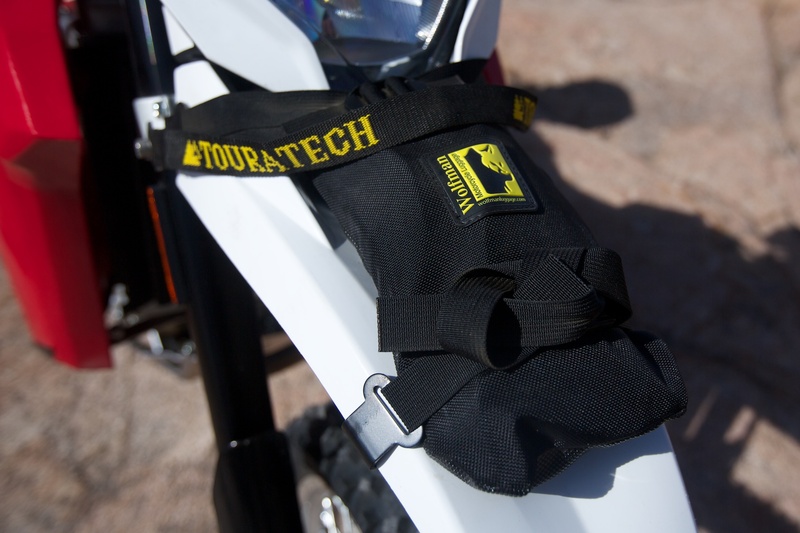 Additional protection comes from the Touratech brake reservoir cover. 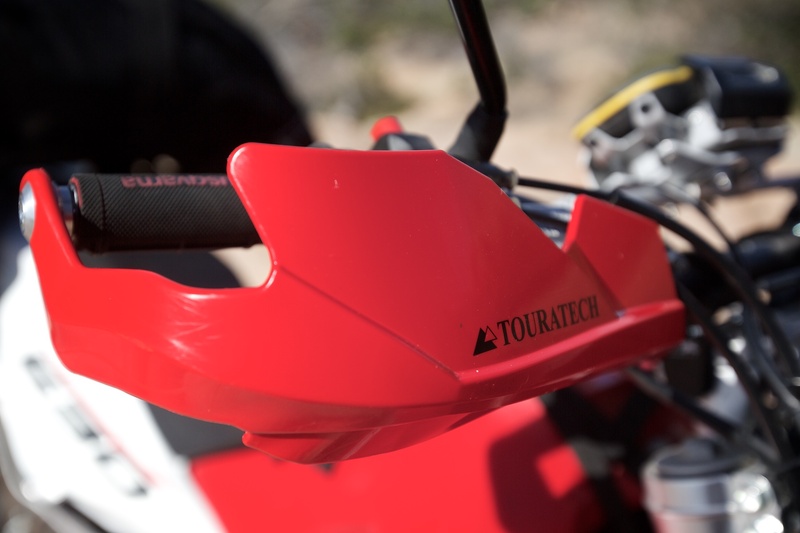 Within the cockpit, we addressed hand guards with Touratech units and also installed the excellent ASV levers, which both fold out of the way on impact and are fully adjustable. 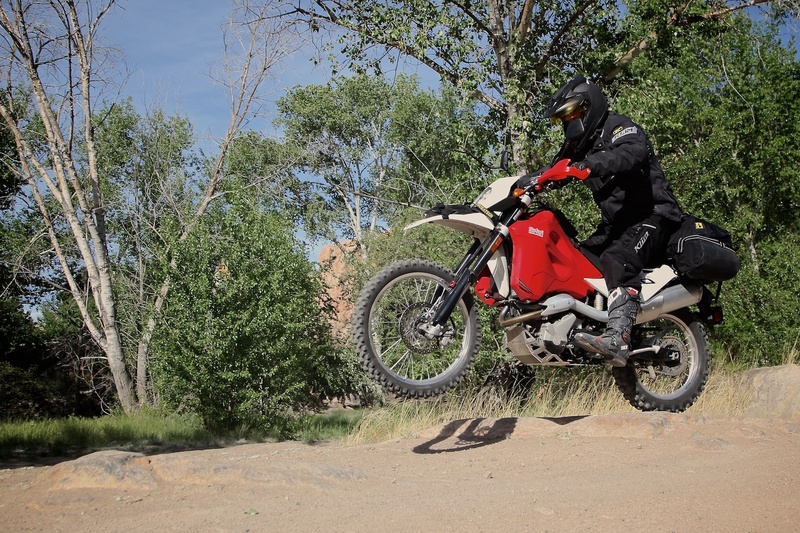 I purchased the ASV shorty units, which I find work better with my two finger riding style. 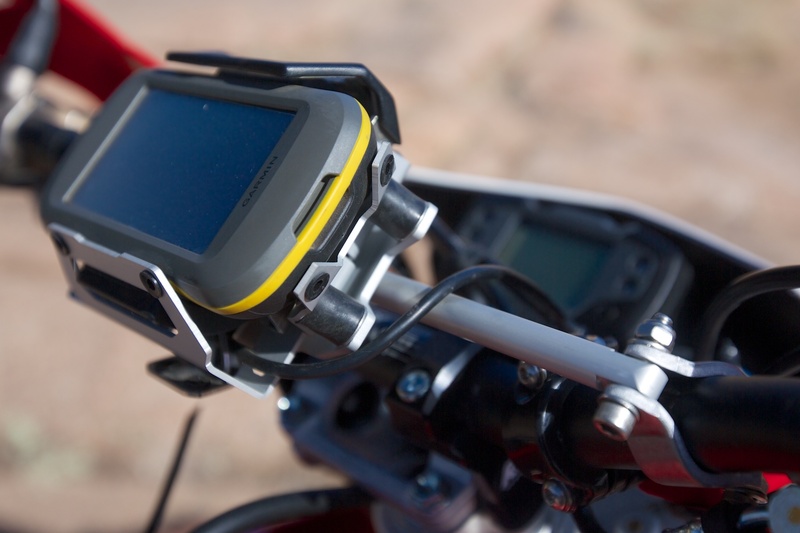 The last piece for the cockpit was the GPS unit and mount. 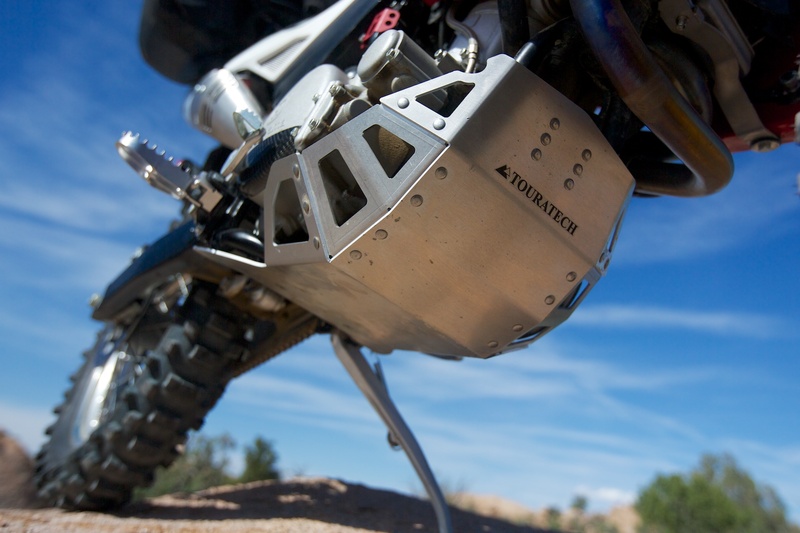 Touratech makes a mount that works with a small aluminum cross bar. 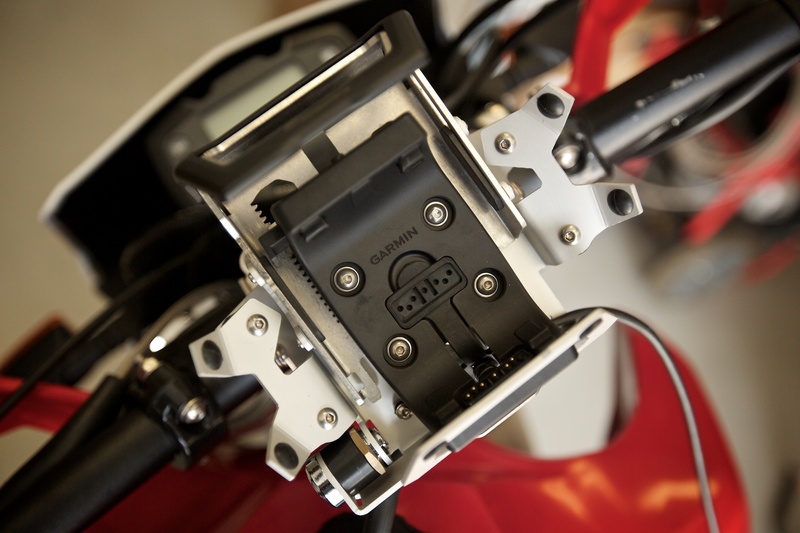 The GPS can be wired to the battery and the mount is lockable. I decided on the Garmin Montana, which simply works for this type or riding . 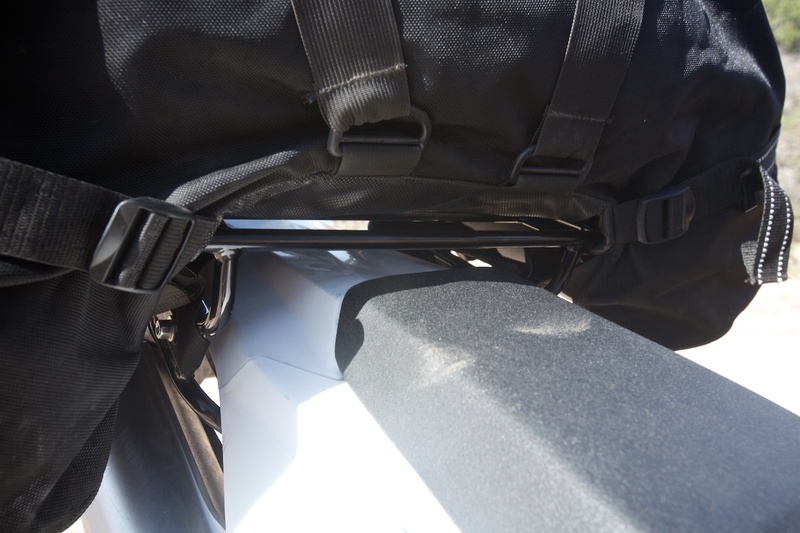 For the rear luggage rack, we installed a high-quality unit from TCI Products. 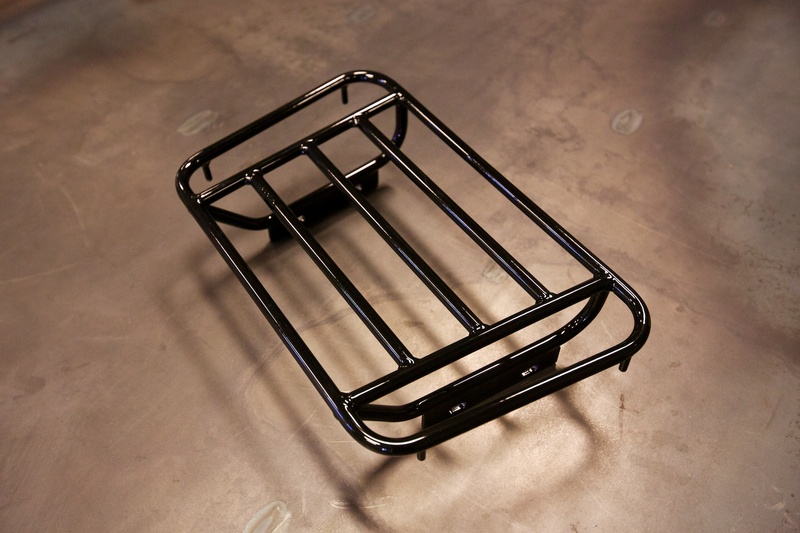 This steel unit is powder coated and Made in the USA. 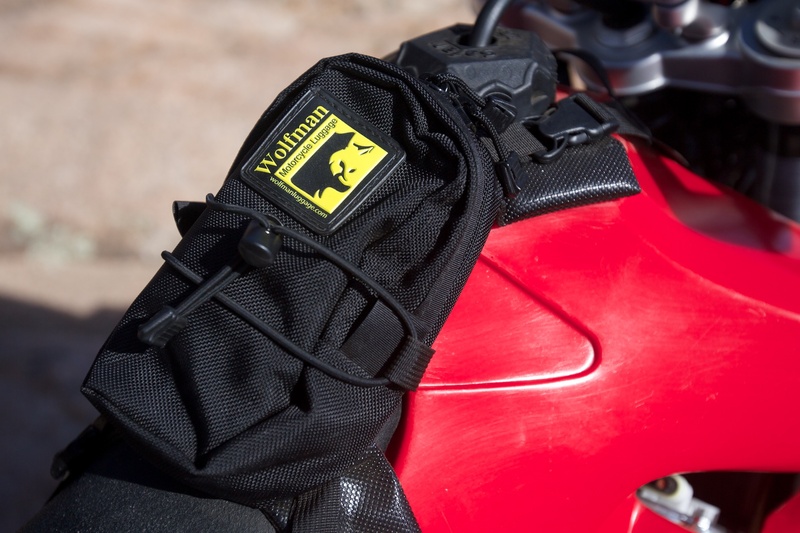 The wide structure provides support to the Wolfman bag and allows for multiple lashing options. 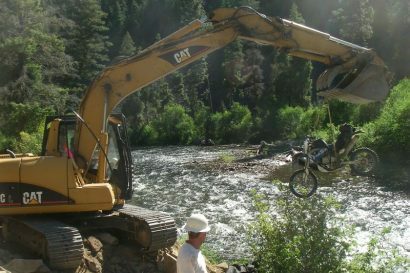 For luggage, Wolfman was the perfect fit, and we had experience abusing their bags for years, even on the Trans-America Trail. 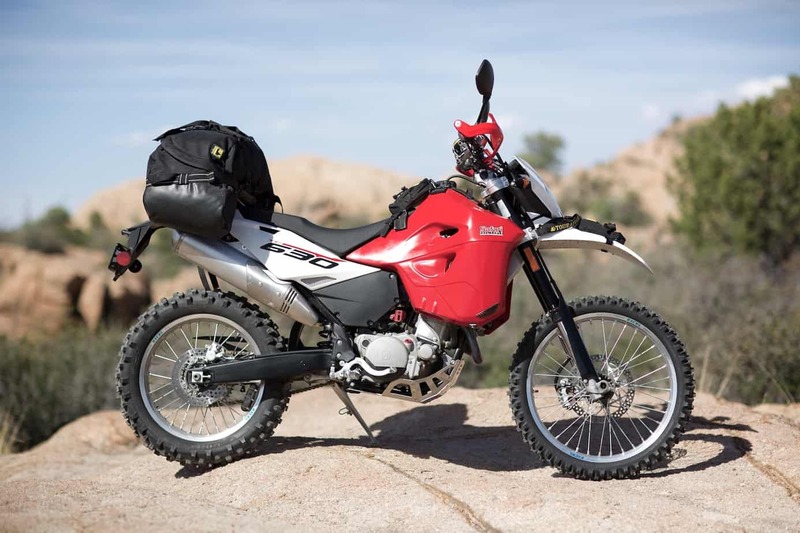 Their Boulder Beta Bag is ideal for the Husky, as it mounts easily to the TCI rack and allows for all of the camping equipment, tools and (most) spares to fit in one piece of luggage. On light/fast trips, my personal effects are essentially nothing. A few extra pairs of underwear, socks and t-shirts. Maybe a pair of flip flops if I am feeling like glamping. . . (grin). 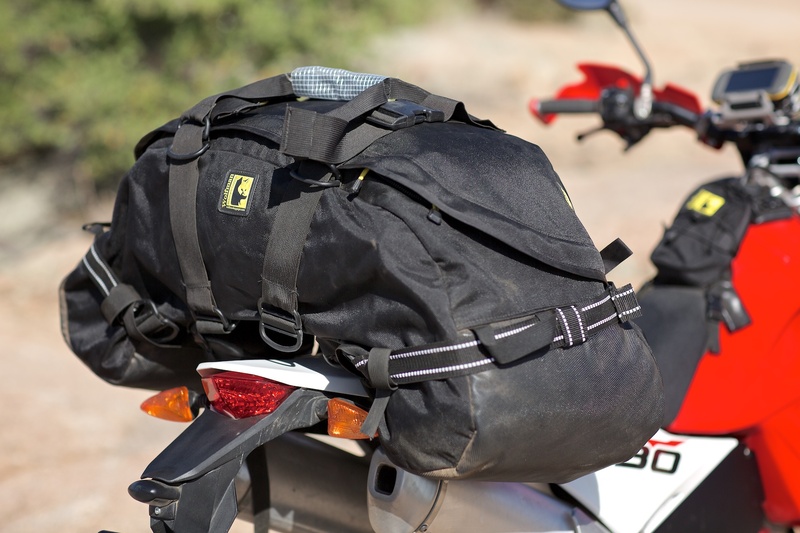 In addition to the Boulder Beta Bag, I installed two smaller bags for storing everything else. 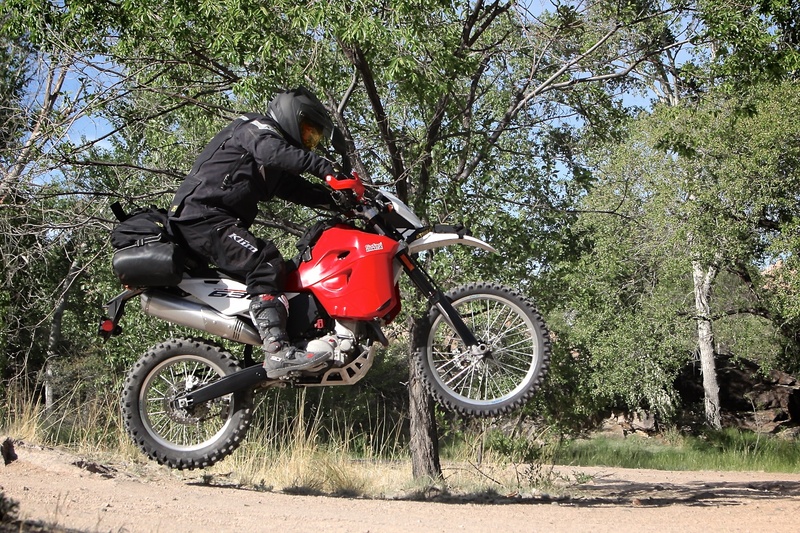 On the tank we strapped a Wolfman Enduro Pocket, which holds numerous essentials like a flashlight, multi-tool, small camera and sunscreen. It is small, but stays completely out of the way. On the front fender I mounted the Enduro Fender Bag, which contains a tube, a few patches, and a set of tire irons. 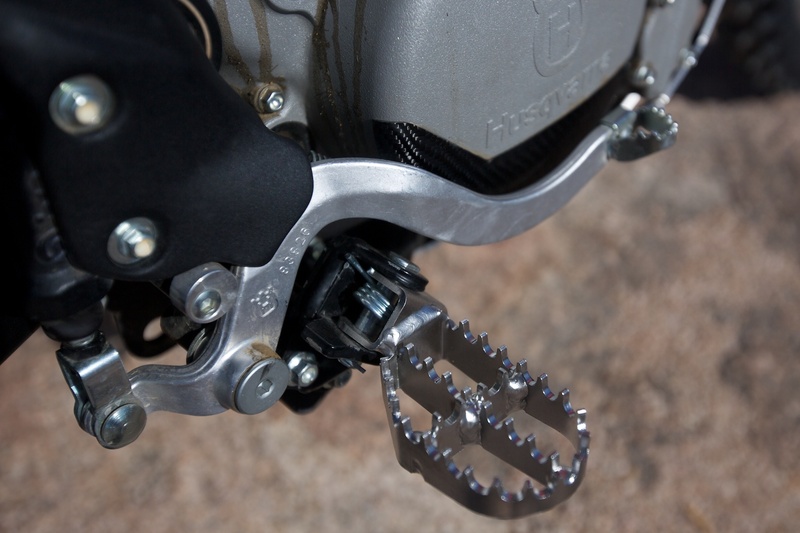 Final modifications included a Kush rear sprocket and a 14-tooth front sprocket for greater control in the dirt with a travel load. 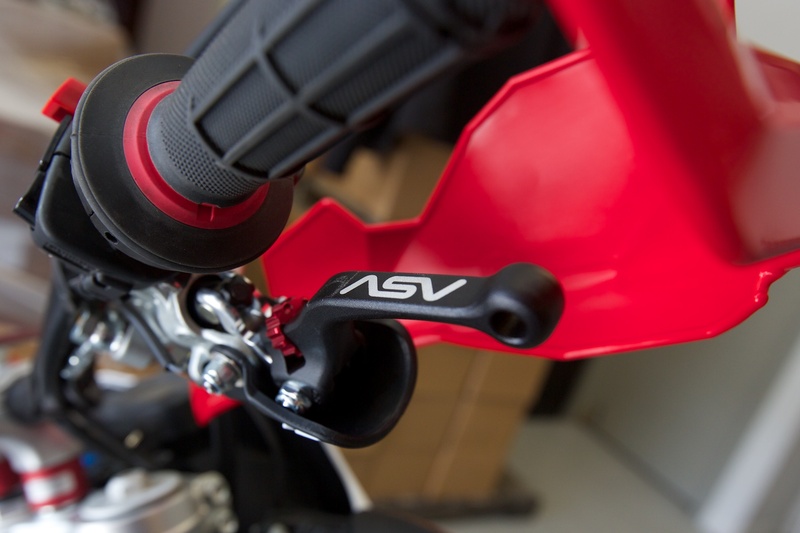 For better standing ergonomics, I installed a Rox 1 1/4″ bar riser set. 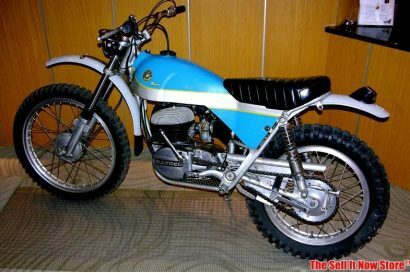 With that, our Husqvarna TE630 project is essentially complete and ready for some serious dirt.